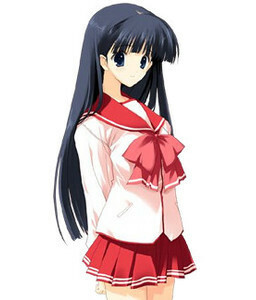 Yuuki is a mysterious girl that Takaaki meets in school at night, and for some reason she is not usually seen. She carries around a notebook called the "Trash Basket Notebook". <hidden by spoiler settings>Yuuki used to be Takaaki's classmate in elementary school, but after her parents divorced her last name was changed from Takashiro to Kusakabe, and she had to transfer to a different school. "I was dead for a while."